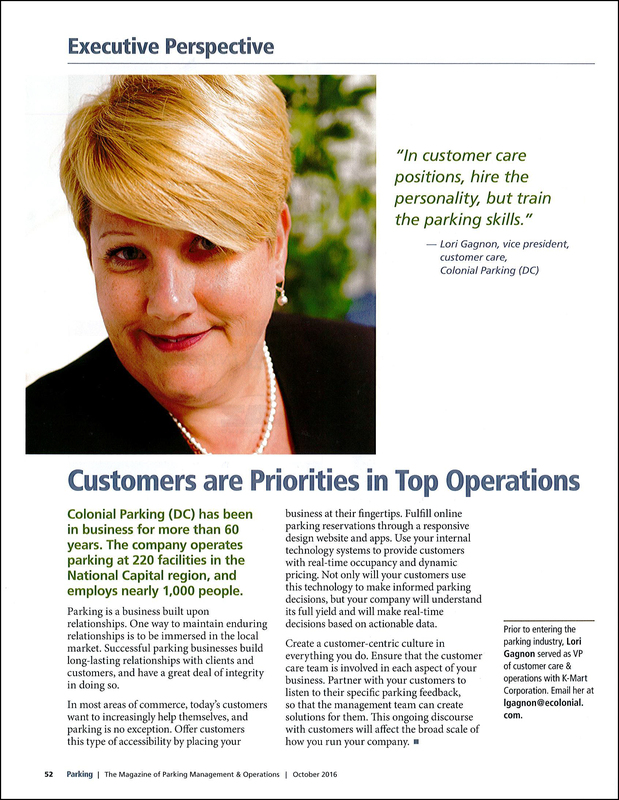 Colonial Parking’s Vice President of Customer Care, Lori V. Gagnon, was recently interviewed for the National Parking Association’s international publication, Parking Magazine. Read the article on how relationship building is key in the parking industry below. “Customers Are Priorities in Top Operations.” Parking Magazine Oct. 2016: 52. Print.